Isometimes get this feeling that I should create a series of my own recipes. And I pull out everything and start with some weird combination of ingredients in my head. Luckily, they have always been edible.Last Friday evening,I was thinking of baking something out of that weird combination of ingredients and use Nutella to balance everything just in case something goes wrong ;) I couldn't wait for it to get baked. I almost stood by the oven for that 1 hour, the time it took for the pudding to bake...taking a peek every now and then. I bless my oven because it has a bulb inside it, so it's easier to have a peek. I actually made this pudding for the World Nutella Day but I couldn't post it that day as we were busy at the Winter Carnival at the State Capitol,St.Paul. That day was fun! We got to see ice sculptures, ice palace,ice chair so on and so forth.They also had wine tasting plus a torch parade ,so I don't have to tell you how much fun we must have had! :) It was freezing but our jackets did a good job so I have no complaints! Pre-heat oven to 350F/180C and position the rack in the centre. Arrange the bread slices on a cookie sheet and toast/bake them in the oven for 5 mins. Spread nutella on each of the slices and cut them into 2 diagonally. Arrange them neatly (with peaks showing) in a pudding dish. Mix together whole milk, warm water and coconut powder (Instead of coconut powder and warm water, you can use 1 cup thick coconut milk). Beat together eggs ,salt and sugar till fluffy, for about 30 secs. Add it to the milk mixture. Pour the milk mixture over the bread. If you want, you can spoon some over the slices too. Prepare a water bath*and bake for 55 mins or till set. * Inorder to prepare a water bath, take a rectangular baking tray and fill it half way with hot water. Place it in the oven and then place the bread pudding dish into it,carefully. On another note, I am hosting the Kerala Kitchen (click on the link for more details)this month, so if you are making anything with a touch of 'Kerala' in it, send in your entries to airmathew AT gmail DOT com. The event ends on 28 Feb 2011. Please feel free to use the logo. Nutella pudding is amazing.. Congrats on your 500,000 hits..
what a tempting and drooling pudding....they look awesome!Wonderful clicks.. I can have anything with nutella in it. Sounds like a great dessert Ria. What a yummy way to start us off on a month of Kerala cooking! Looks scrumptious.. Seriously I am tempted. 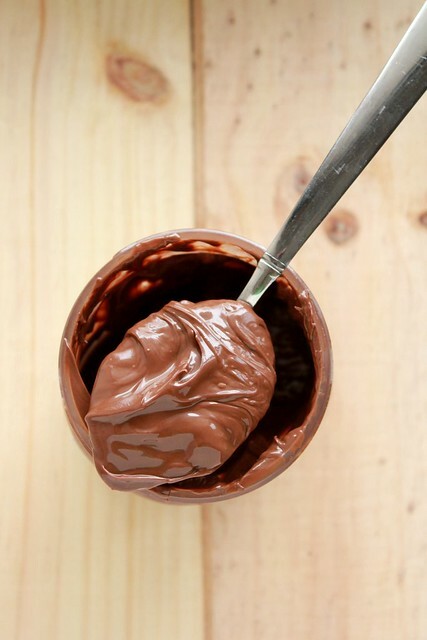 I'm always a bit skeptical when it comes to combinations with nutella because generally things take away from the nutella flavor and then it just ends up tasting like chocolate. But this sure sounds wonderfully balanced! 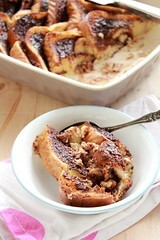 Omg, cant take my eyes from the click, irresistible pudding..
but adding nutella would have def given it a twist. I've been a regular follower & a great fan of ur blog...love ur language, the photography and your the magic in your recipies...love it all! 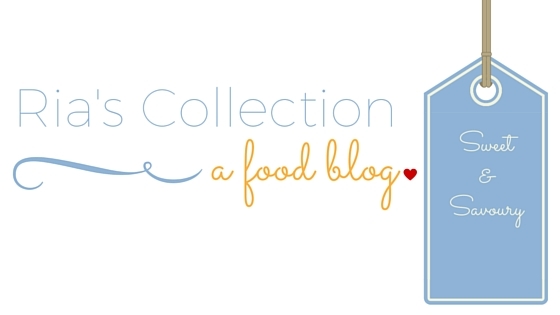 its comes as no suprise to me tht ur site hs crossed 500k hits... i wud suggest u to contribute to tastespotting.com too which wud give ur blog a lit more exposure..
Hey Ria. Congrats on hitting 500,000 - very impressive! 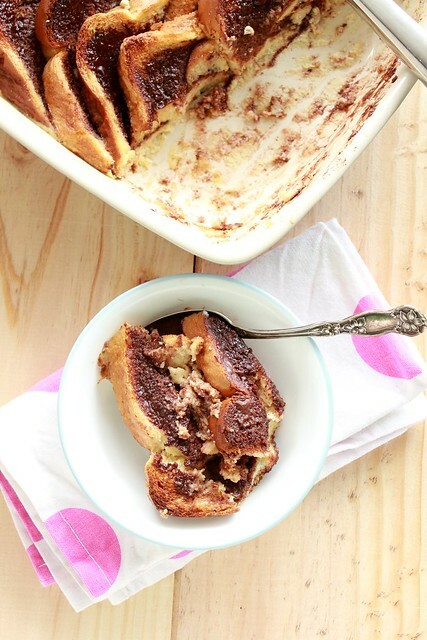 !Your nutella bread pudding looks yum. The pictures are beautiful! As for the KK event, I've just posted a recipe and I'll soon mail the details. Thank you for hosting! 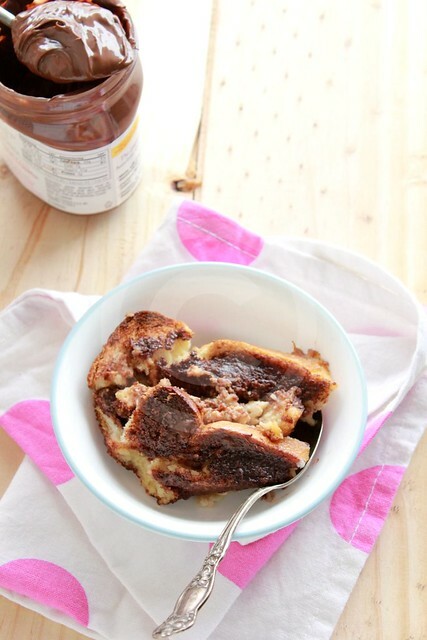 OMG, Nutella n bread pudding together?!! Sounds YUM :-) I'll take that!! Congratulations on the milestone! many more to go! Congrats Ria on 500,000 hits. Amazing and the bread pudding is even more amazing, I am such a big fan of varieties of eggless bread puddings. This looks super nice, I will try to do it without eggs and let you know. 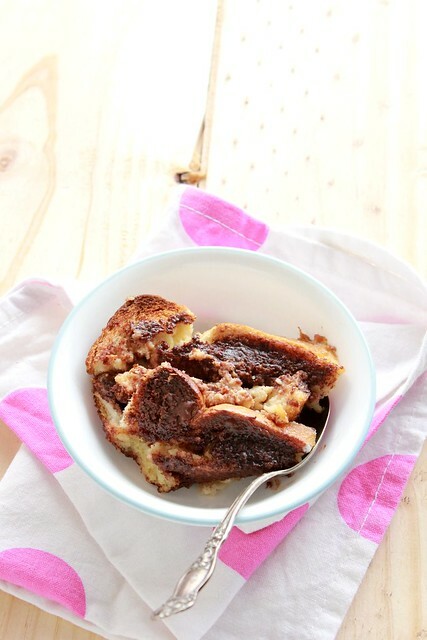 Bread Pudding looks delicious and chocolaty. Congrats Ria on your 500,000 hits..! keep up the good work. The pudding looks amazing..
Yummy yum..Nutella makes anything tasty and the pudding looks like absolute nirvana! !Congrats on the 500k mark!! Happy Anniversary Ria!Am sure you're having a magical day! Can't wait to see the celebratory cake! 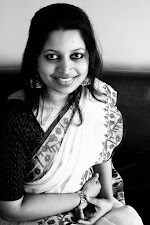 many congratulations on putting up such a fab blog. 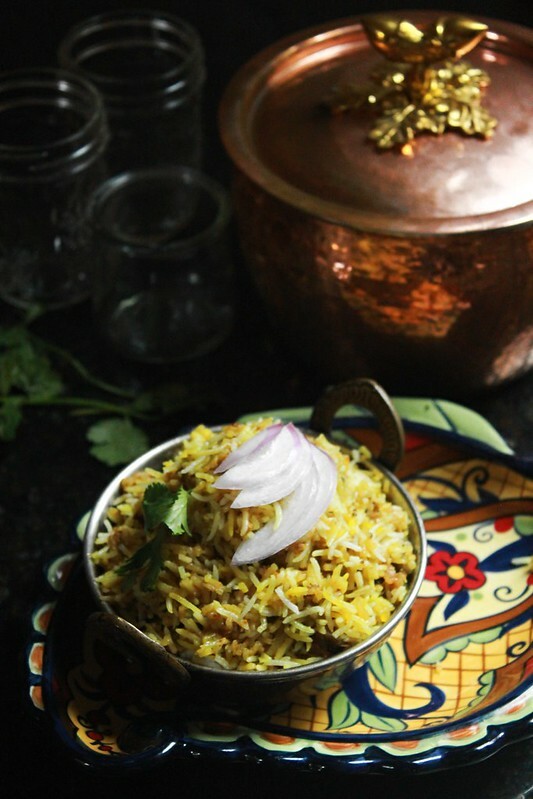 DILKHUSH...an Indian favourite my way!